Sherry Carawan has been an SRSTA (Society of Roller Skating Teachers of America) certified roller skating trainer since 1977. Some of her students have even become national champions!! Includes rental skates and admission to the public session (6:30-9:00) following your class. Skating classes for children are offered each Thursday evening from 5:30 pm - 6:30 pm. 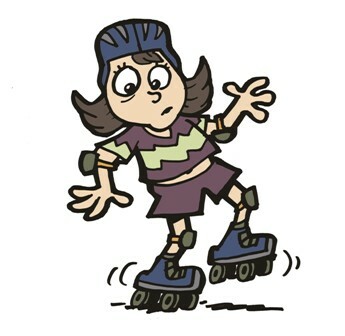 Instruction includes balance, forward skating, start and stop, and skating games using regular skates or inline skates. Rental skates are provided, or you may use your own skates or in-lines.